Once a price has been agreed to, I can invoice you via e-mail. Payments may be made by electronic check or credit card via Square or PayPal. Credit card payments can also be handled in person. I also have an Etsy shop for ordering the small prints and cards: ArtOfCathleenPalumbo. Payment Plans are available. Do you love a painting but can't afford to pay all at once? We can agree to a schedule for payment and I'll hold the painting pending payment in full. I'm happy to arrange an appointment at my studio. All paintings and drawings are on surfaces that have been prepared with archival substances. Most prices listed are gallery prices. Discounts may apply. Prices listed do not include tax, shipping, and insurance. All sales are final. Call me (505-927-6210) or write (info@cathleenpalumbo.com) for an appointment or quote. 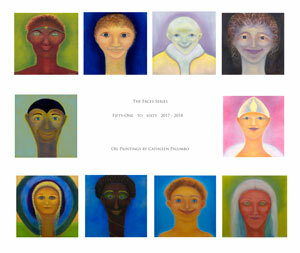 Archival prints of many paintings are available. Prints are numbered, signed, and include a Certificate of Authentication. Pricing for these high quality, archival reproductions are based on size, generally from $75 to $500. Pricing does not include tax, shipping, and insurance. 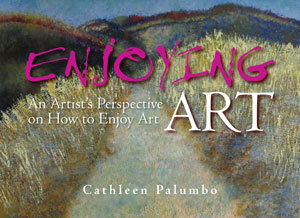 To order call (505-927-6210) or write (orders@cathleenpalumbo.com) for a quote. The series is on going. For every consecutive 10 paintings, I make a poster. 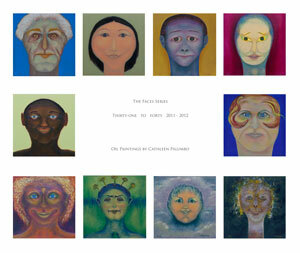 So far, six posters have been created, each containing ten paintings. Archival prints in a small format -- 8.5" x 11" -- for $25 per print plus shipping costs. These paintings are professionally photographed and printed. 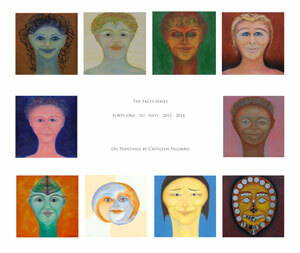 The paintings shown below are available. 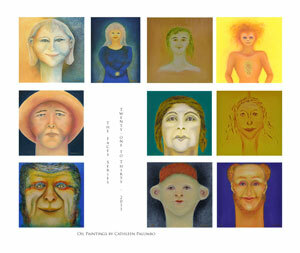 All of the Faces Series are available. 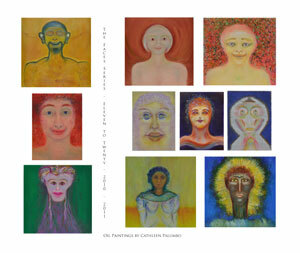 Other paintings may be available, so check out my web site and let me know if you see something you would like. 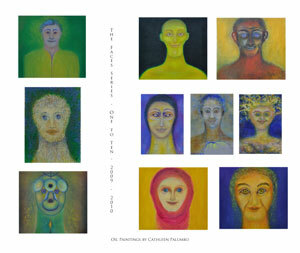 For more information about the book see the Books & Prints page. Available through Amazon.com for $9.99 or directly from me for $7.99.